Right after Thanksgiving, I got a text from someone offering me a wonderful opportunity that I knew was a sign that amazing things are coming. YEAH! 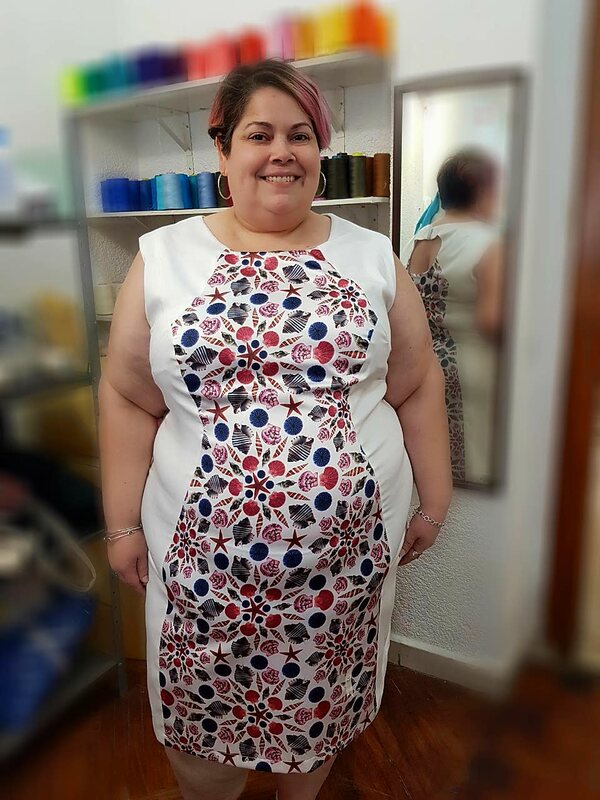 That someone was Melina Alarcon, designer and owner of Generose, a new plus size women's clothing line, designed by her and manufactured in her home country of Mexico. I met Melina at Full Figured Fashion Week in June 2017 where she showed her collection at the event's finale runway showcase. 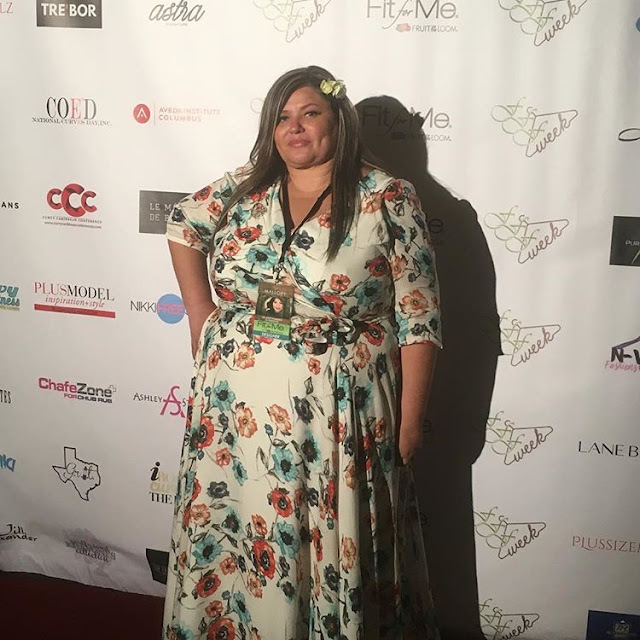 I remember sitting front row with Maddy Jones, Editor-in-Chief of Plus Model Magazine, and constantly turning to her and ooooohing and ahhhhing as each look hit the runway. 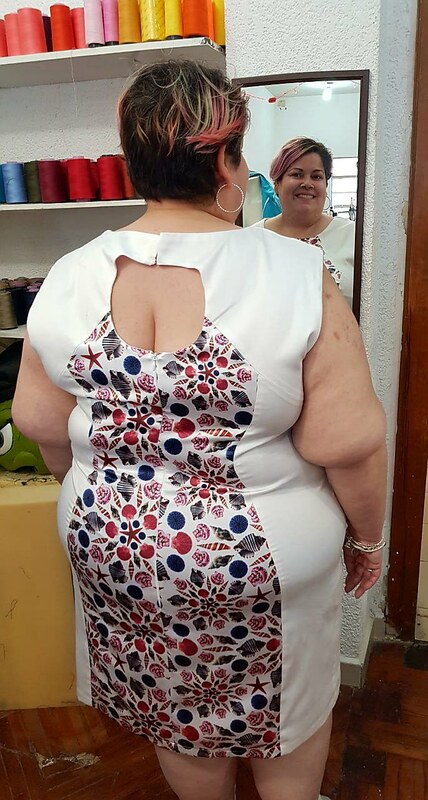 See, Melina had a dream to be able to offer stylish and high-quality clothing to plus size women, particularly over a size 22. In Mexico, plus size fashion is not very accessible and most plus size women in Mexico shop online or travel into the US to shop. There are no plus size stores to shop in and there's not even a big plus size fashion presence there. Melina wants to change that. 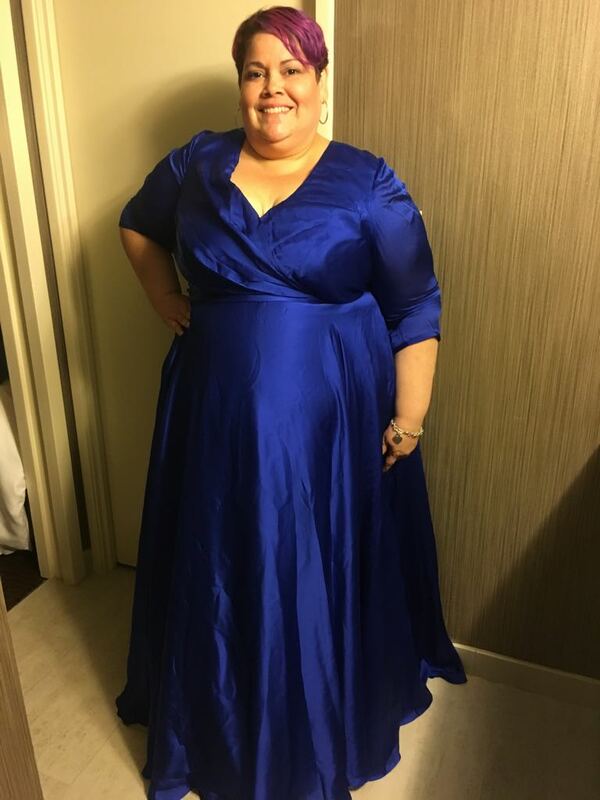 As a Latina and a woman over a size 22, I felt her passion and believed in it. 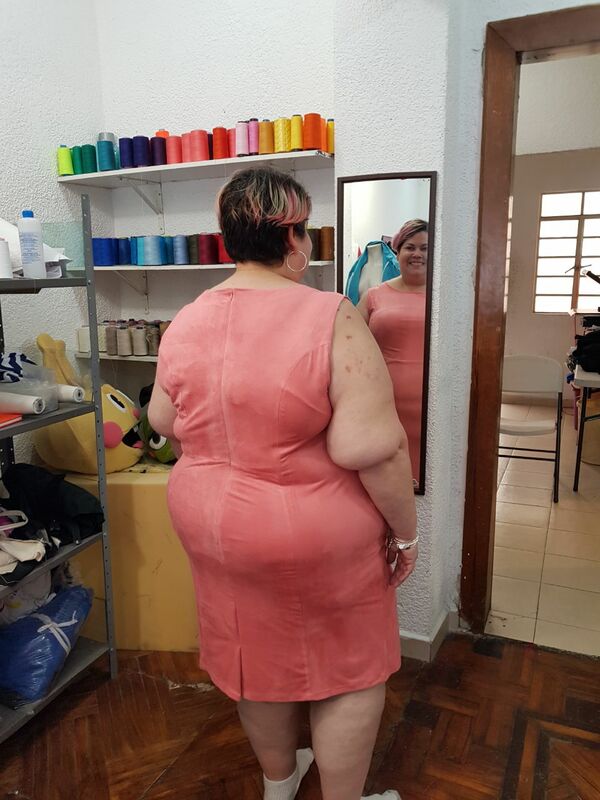 I believe no woman should be deprived of fashion and accessible clothing in her size. 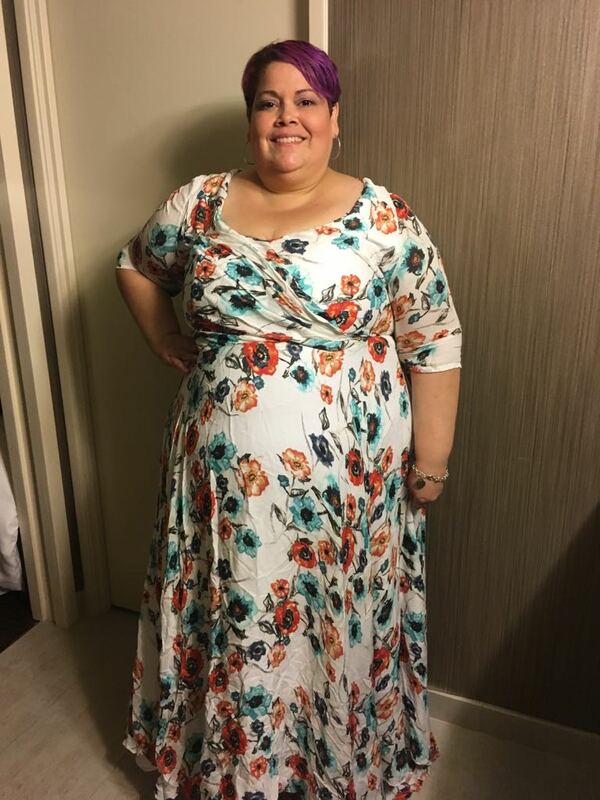 Your weight or size should have nothing to do with you dressing well. Fashion can help you build your confidence and self love and then that, in turn, will inspire you to live your best life. 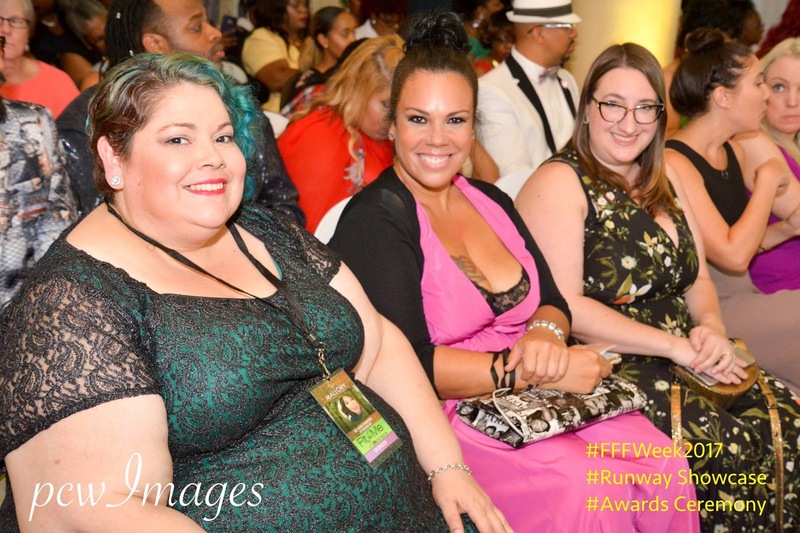 Melina and I spent some time in Atlanta last summer at the TCF Style Expo, which she invited me to attend with her as her guest. 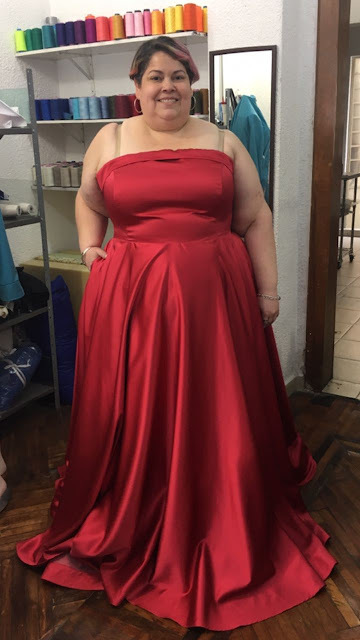 It really gave us the opportunity to get to know each other and also for me to try on some of her dresses! I loved her idea of including an inner corset so you have all the support you need to the point where you don't even have to wear a bra! The way she designs her dresses are smart and meant to celebrate your curves. Yup, not wearing a bra in the above images and I'm an F cup. Melina asked if I would come to Mexico City and be her size 28 fit model, as well as offer any fit input and ideas. WOW! This was a major opportunity I could not turn down so of course, I said yes! You rarely see fit models my size used so this was something I could not pass up. So off to Mexico City I went! I was only there two days and I was exhausted the entire time from the high altitude that caused me to have a headache and aggravated my sinuses. But I did not let that stop me from enjoying this experience to the fullest and being present for it. When you are working as a model in any capacity, there is no space for complaining, slacking or a bad attitude. You'd be surprised at how fast word travels when a model is unprofessional while on a job. Plus, I was so humbled at the opportunity that I could have been on crutches and I still would have done it. 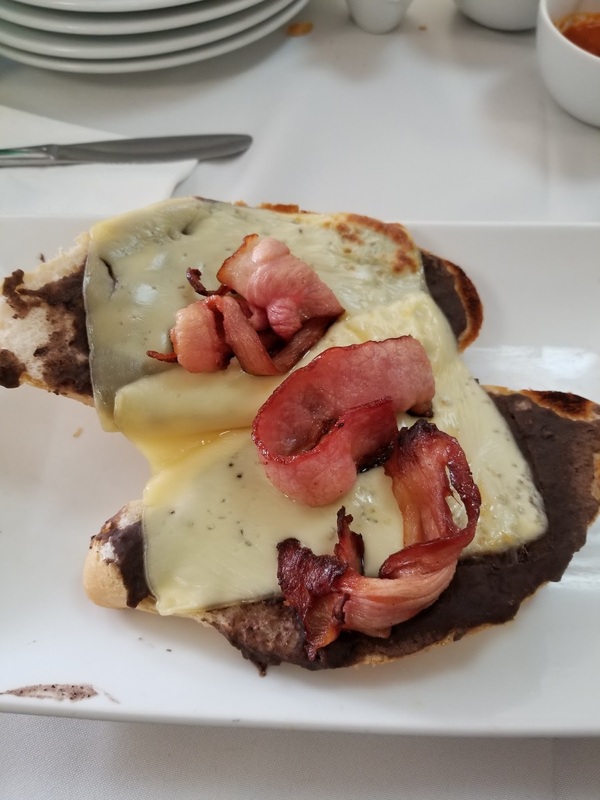 Molletes con Tecino AKA Spanish bread with frijoles, toasted with cheese and bacon - YUM! Melina and I ate some amazing food, talked for hours and she let me get a look into her design life. 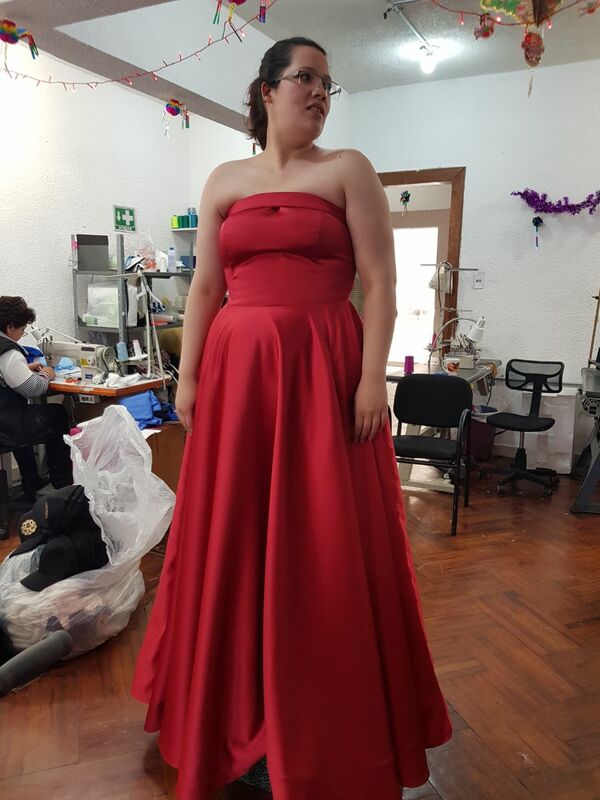 I was so blown away from being in an actual design house where I saw her designs being created and tailored to our measurements. The folks at the design house were so amazing! 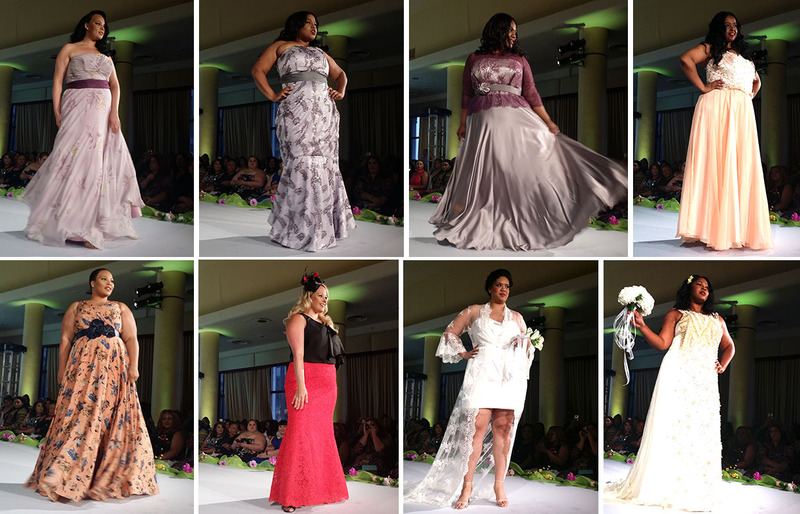 They listened to our feedback and did not treat us any differently because we were plus size. 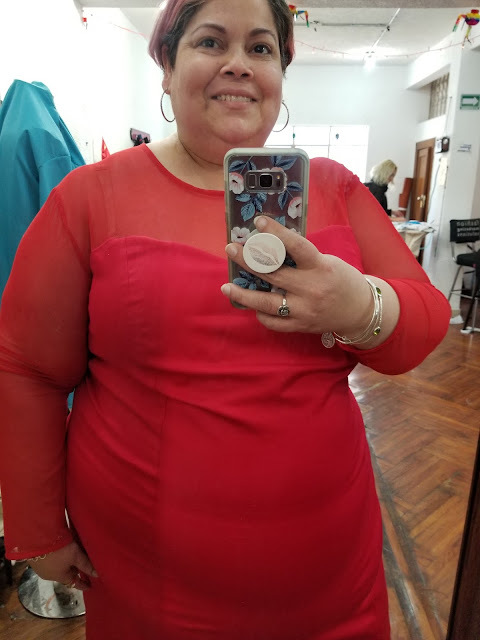 I went in with the mindset that I was not only offering feedback from my point of view but also other women who may not have the same body shape as mine. I'm a cross between an hourglass and pear, not quite either one. And I have large upper arms and large calves. However, I do know women my size who have smaller arms than I or larger hips or who carry their weight in the belly or on top. I feel ALL these women have to be represented and while it's tough to design ready-to-wear clothing to fit all shapes and sizes, it can be done. I have a long torso and short legs despite being 5'7" so I need a shorter inseam even though I am not considered petite. But there are those of us with the opposite situation too! And let's not forget the tall girls either. 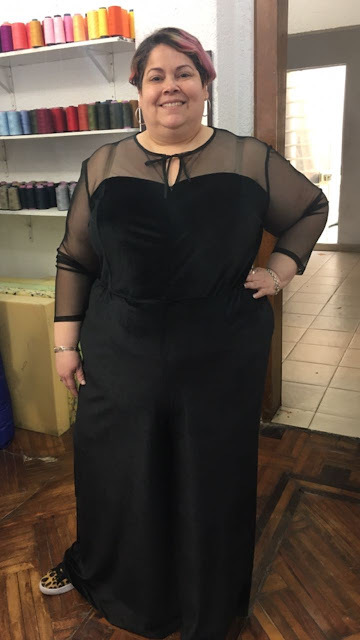 So this was a great opportunity to not only educate others on plus size bodies but also showing them that when it fits well, it looks amazing! I left Mexico City feeling so excited as to what's to come. Melina said I would be back for more fittings and who knows after that? This is why I always tell others that it pays to be nice to people, network and be authentic. Always remain humble and know that no one owes you a thing. I don't care if you have 1 million followers on social media or the most perfect images in the world, you are not entitled to anything. You have to chase your own dreams, be willing to work hard and be true to yourself. Never compare your journey to someone else's. If someone else received any opportunity that you wanted, that just means it was not meant for you. And that's okay because there are other amazing things out there meant just for you. For me, I'm realizing I'm more passionate about making my voice in this industry from a fit perspective. 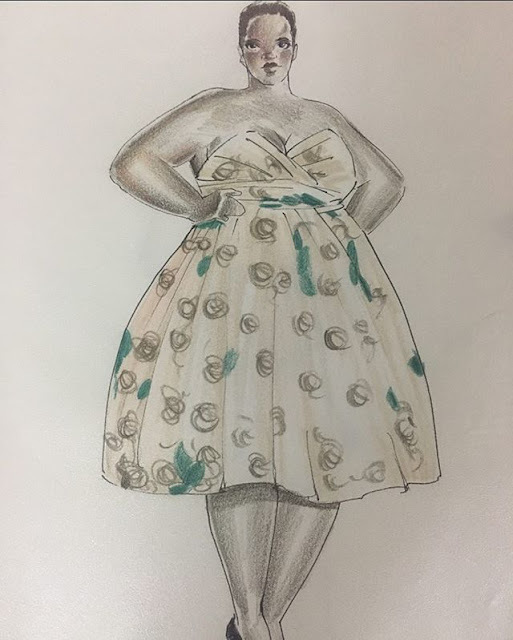 We all have our part in advancing plus size fashion and I feel like this is what I am meant to be doing. This has been something that I have been involved in for years but I was so focused on doing other things and watching what others were doing that I couldn't see it. Now I do. When you realize your purpose, the sky's the limit. You just gotta keep it real with yourself. And be open to the possibilities. Mexico City was magical. It was filled with street art, vintage cars, the hustle and bustle of a city on the move as well as friendly folks. Not to mention it's so cheap for us because the US dollar is strong there. Great food, so many great sights to see and just overall, an unforgettable city. 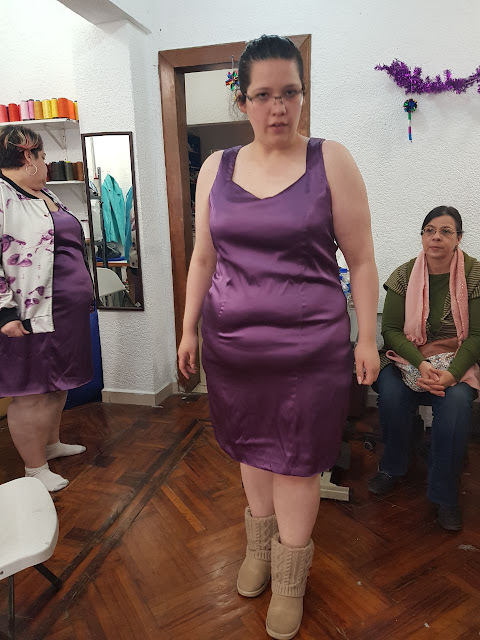 Stay tuned to the blog next week for more on my trip, including my experience flying with Interjet and my review of a piece from Melina's Spring 2018 RTW line for Generose. You can check out more of Generose on Instagram here. What do you want to see in plus size fashion (in terms of styles and pieces), especially for women over a size 22? I would love to know so hit me up in the comments below! That floral maxi dress that you & Melina are both wearing...I'm in love. I'm excited to see this new line & that you got to be a fit model. The inner corset sounds amazing. What an amazing opportunity and experience! They certainly chose well when they invited you to be one of their fit models! Love seeing you out there in the world!